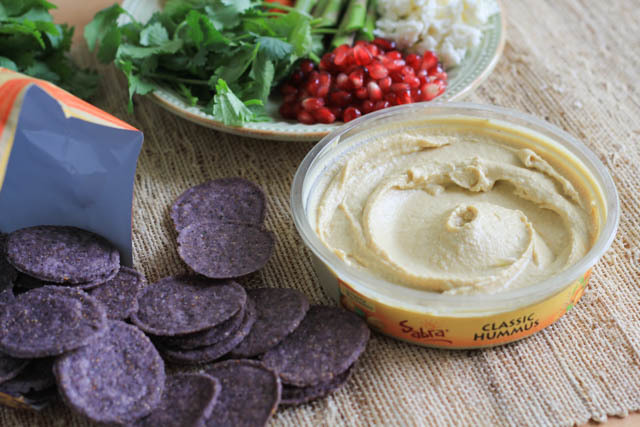 It’s simple, with Sabra hummus around there is always something to snack on, but more importantly it’s nutritious and a good choice for a healthier pre dinner and all around snack. Going back twenty plus years to when I was in high school, I remembered I’d eat like a freight truck of food when I got home from school before my parents had dinner ready for us. Flash forward to the present and it’s no different, maybe just the amount of food consumed lol! See, back then I was in all kinds of sports like volleyball, basketball, swimming, soccer, and water polo. All super physical and I’d come home starving, ready to eat. Naturally there was the pre dinner snacking going on. Present tense, I make most of our meals, while it’s me and Brian here most days, my family comes over often to eat dinner. If you know my family, you’d know my brother can eat as much food as he wants, is still hungry, and still thin! Watching him snack around is so entertaining and makes me smile every time. He walks around the kitchen while I make dinner picking at the food I am prepping. While I was photographing this picture, he came over and was eating the chips, and I’m like HEY!!! I’m working here dude, go eat the food on the counter lol! That really happened, totally seriously. He is very comfortable wherever he is, especially our house. That’s how this family rolls. 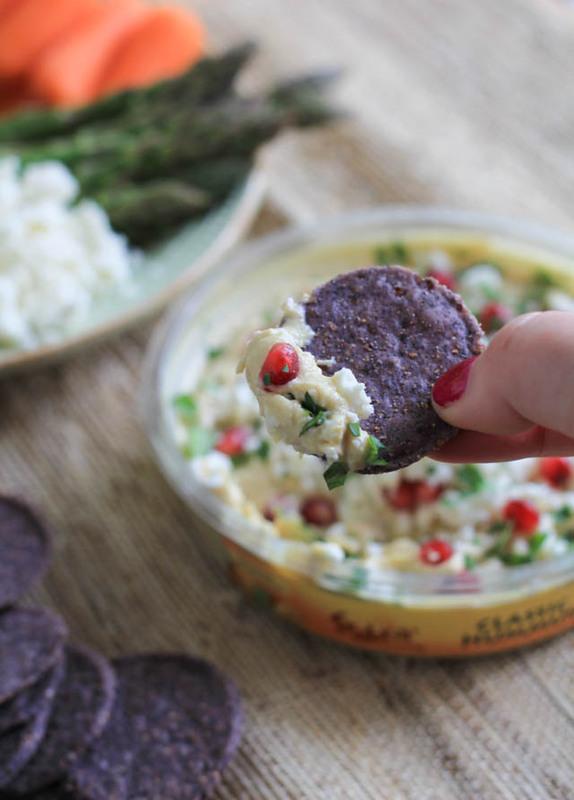 Whatever you are putting together for dinner can be added to the top of hummus, or used as a dipper! Think olive oil, fresh or dried herbs, fresh citrus, cheese, vegetables, beans, the possibilities are endless! And we all want a snack mid afternoon & evening right when work is done for the day, getting dinner ready, getting the kids to do their homework, and the family settle in for the night. This is a great option! 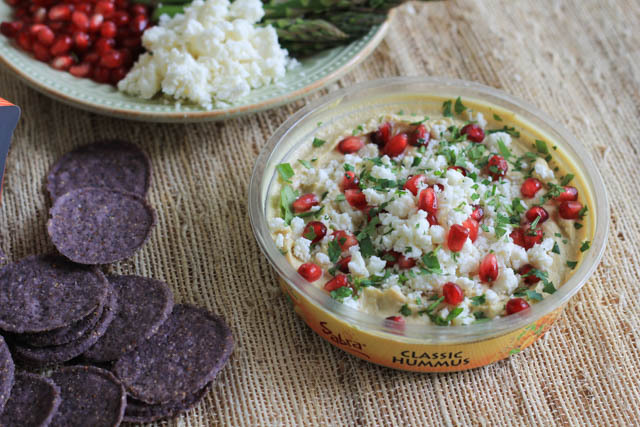 Sprinkle cheese, pomegranate seeds, and cilantro on top of Sabra Classic Hummus. Enjoy with a variety of fresh vegetables, pita breads, crackers, or chips. Disclosure: This is a compensated post in collaboration with Sabra Dipping Company for the Unofficial Meal campaign. As usual all opinions are my own. Thank you for supporting the brands that support NJB! 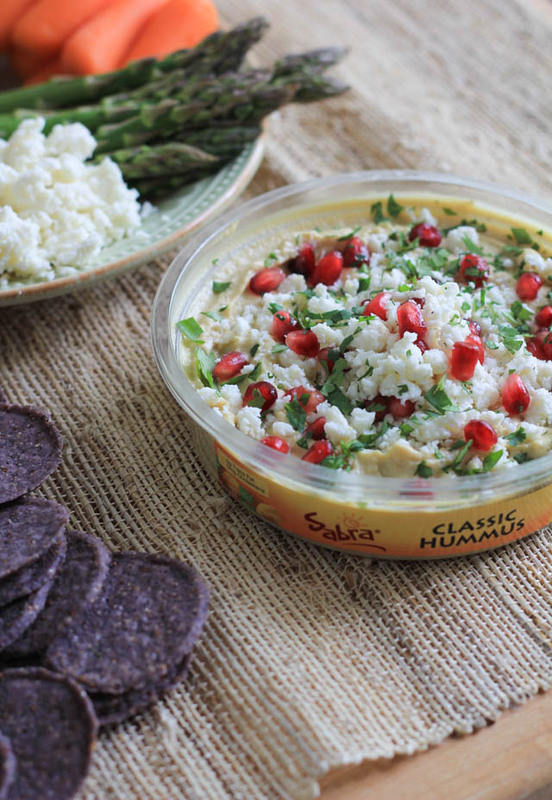 Show us your favorite ways to eat eat hummus, just tag your photos with #Unofficial Meal! 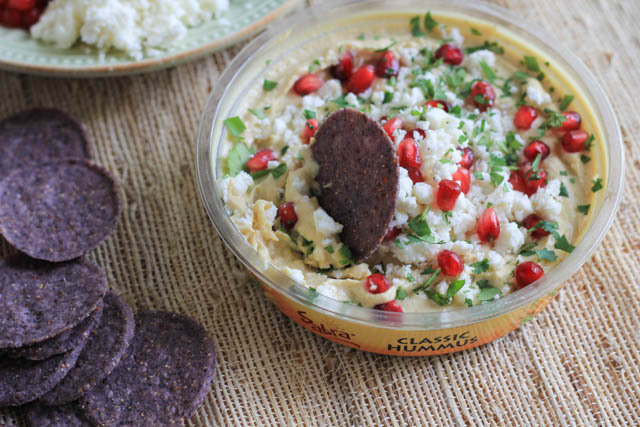 I’ve never thought to create my own toppings for hummus, but what a fabulous and delicious idea; this looks great! What a great idea for hummus and what a plus that it’s beautiful! I don’t blame your brother for trying to snag a bite while you were working. I want to dig into that hummus too! I love the idea of pomegranate seeds they are the perfect little juicy crunch to go with all that creamy savory goodness! This is one I definitely have to try! I love the bright tanginess and pop of pomegranates. I love that pop of color from the pomegranate! <3 At least we're snacking better, right? Cheers to the unofficial meal!